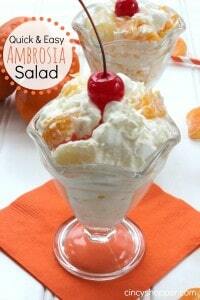 I am a HUGE fan of this Ambrosia Salad recipe. With spring almost here (crossing my fingers the warm weather really is going to arrive), I LOVE making all different kinds of salads to enjoy. Fruit salads are always a hit around here and are a perfect dish to take to a grill out. 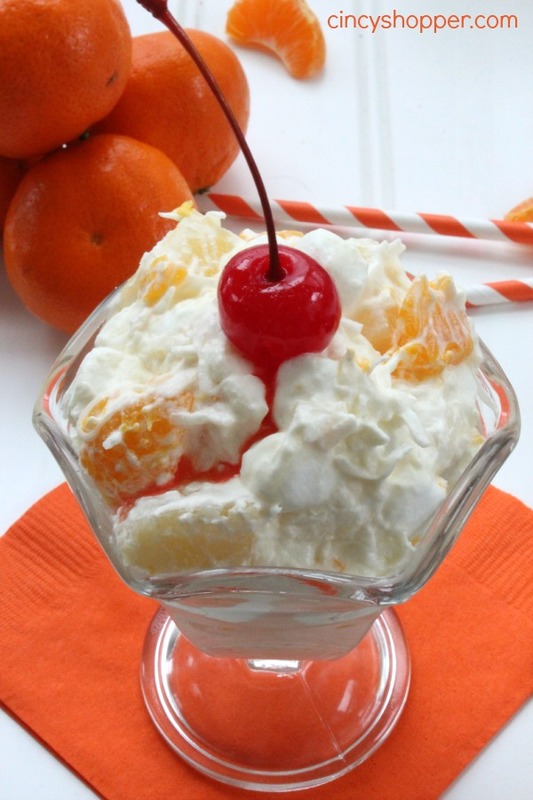 If you have yet to try Ambrosia Salad you are really missing out and NEED to make this recipe. So simple, even the kiddos can make this one. 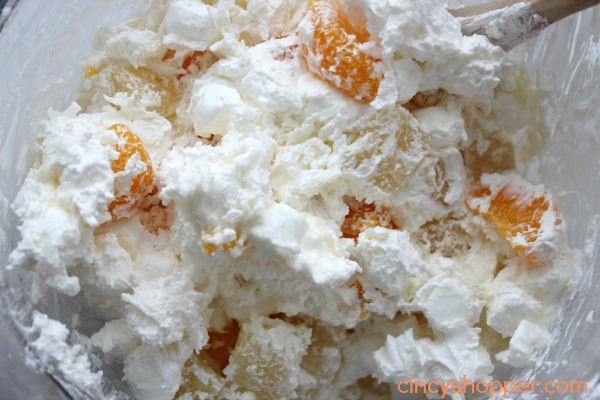 I am considering making this Ambrosia Salad to have with our Easter Meal this year. Since everyone always polishes off the whole bowl, I think it would be a great addition. Ambrosia salad is made differently by just about everyone. 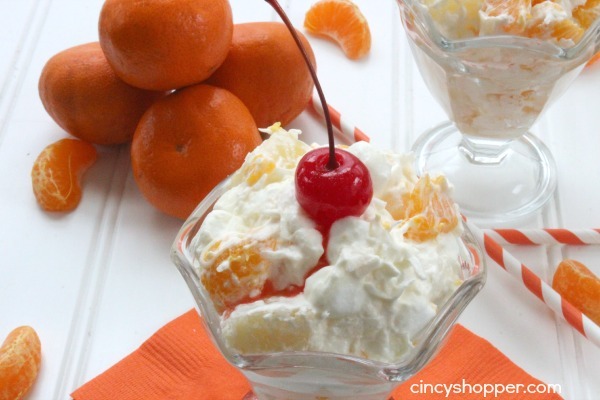 This particular recipe I am sharing with you includes pineapple, mandarin oranges, coconut and yummy Cool Whip. I have also made it quickly with a couple cans of fruit cocktail. I have had others that include vanilla pudding. But, I think this recipe has been my favorite. For this recipe you can use fresh fruit or make the quick, easy and inexpensive version. 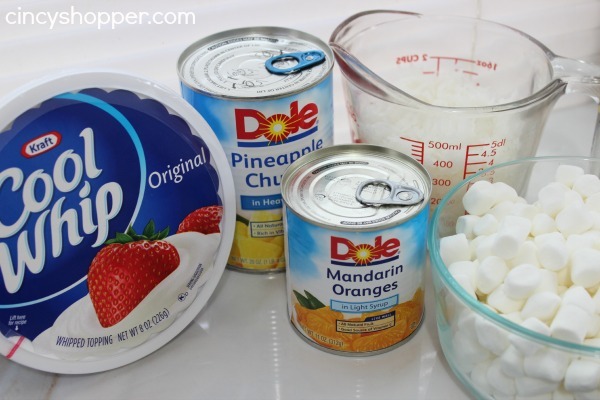 Just grab your canned fruit, Cool Whip and coconut. We always top ours off with a few maraschino cherries if we have them in the fridge too! Gently combine all ingredients in a serving dish. I find that tossing fruits and veggies into salads always encourages my kiddos (and hubby) to eat more healthy. I am looking forward to whipping up more salads in the next few weeks to enjoy. When spring hits we always enjoy all the favorite spring and summer foods. I think it makes us more anxious for the spring weather. Have you been anxious too? Have you been whipping up spring and summer recipes to enjoy yet? Oh, I love this. My mother-in-law makes a version of it, and it’s one of those desserts you don’t have to feel super guilty about.